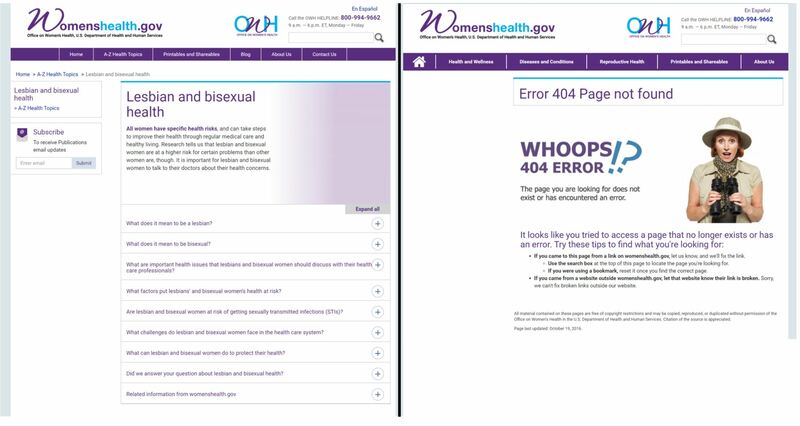 The Department of Health and Human Services Office of Women’s Health (OWH) quietly removed a webpage with extensive information about lesbian and bisexual health, and links that correspond to that webpage last fall, according to a new report from a government watchdog group. The second report documents the way in which the website’s key resource about lesbian and bisexual health has been made inaccessible. 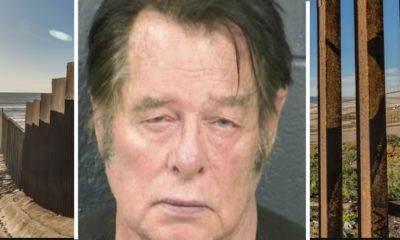 These targeted removals have not been proactively communicated on the website publicly, as is required by federal record keeping guidelines. According to an HHS spokesperson, the information was not deleted and was simply sent elsewhere as part of making the website mobile-ready in 2016. The report also details how OWH has deemphasized access to LGBTQ health information over the last six months. According to the group’s finding, the OWH Twitter account, which has approximately 1 million followers, has made no mention of the term “LGBT” since November 2016, under the Obama administration. Read the Sunlight Foundation’s full report, here.